The rumours had been brewing for quite a while that Sebastian Vettel and Red Bull Racing were to part ways. 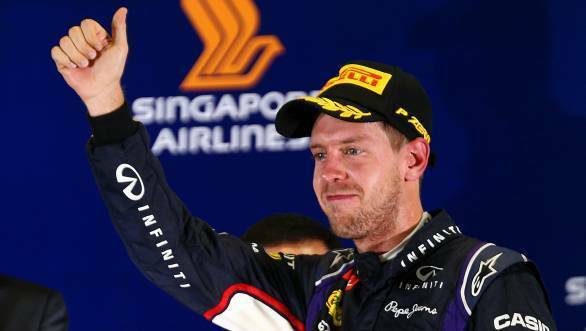 At the Japanese Grand Prix that news has been confirmed, with Red Bull releasing an official statement that says "Sebastian Vettel has advised us that he will be leaving Infiniti Red Bull Racing at the end of the 2014 season. We want to warmly thank Sebastian for the incredible role he has played at Infiniti Red Bull Racing for the last six years." Rumours currently link Vettel to the Ferrari team where he is likely to replace Fernando Alonso. And while it was initially believed that Alonso would take Vettel's place at Red Bull, that isn't the case. "The Red Bull Junior Programme has developed some proven talents in recent times, including Sebastian Vettel and Daniel Ricciardo, who has excelled in the RB10 and become a three-time Formula One race winner in his first season with the team. We're pleased to announce that Daniel will be joined in the team for 2015 by another rising star from the Junior Programme, Daniil Kvyat," the statement continued. The departure of Kvyat from Toro Rosso means that the team will have a vacant spot that they need to fill, with young Max Verstappen requiring a team-mate for the 2015 season. Clearly F1's silly season is far from over, and Vettel and Alonso hold the answers to the top driver line ups for 2015.